Wardrobe essentials like this are perfect for any occasion. 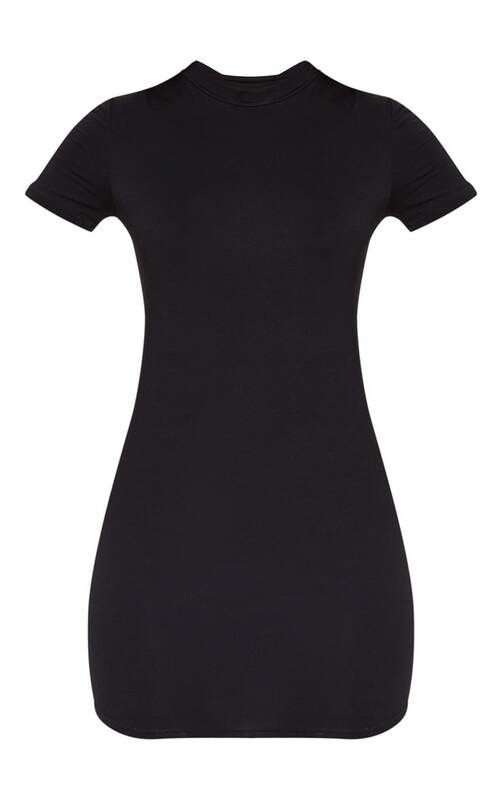 This dress features a black jersey fabric with short sleeves. Finish off the look with western boots and a faux leather jacket for a casual daytime look.